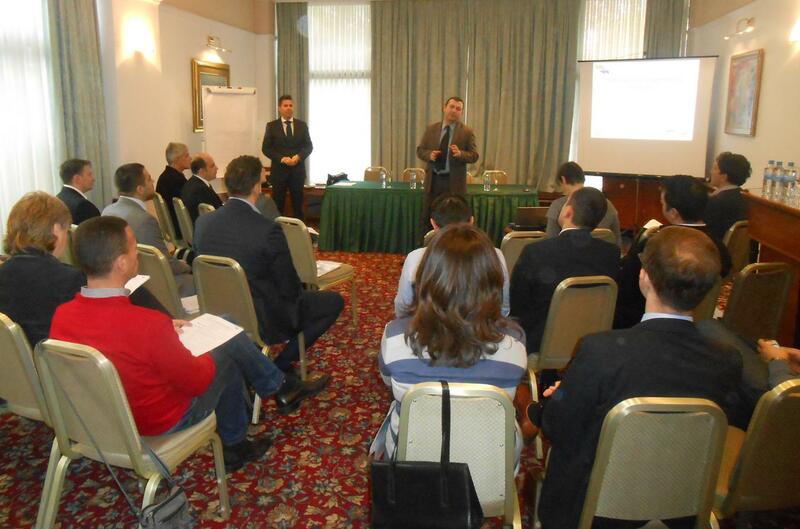 From 2-3 December 2014, in Skopje, Macedonia, NALAS organized a meeting of its informal Network of EU Project Managers in the frame of SEE 2020 Strategy implementation. The meeting, organized in partnership with the Regional Cooperation Council (RCC), brought together some twenty participants from NALAS member LGAs and partners that had a unique opportunity to learn about the new EU Programming Period 2014-2020, but also discuss NALAS role in the implementation of the SEE 2020 Strategy. "As a pillar dimension coordinator of the Governance for Growth Pillar of the SEE 2020 Strategy, NALAS and its member LGAs have a key role in successful implementation of the Strategy, ensuring that good governance contributes to economic growth, providing better services to citizens and prosperity of the whole Region", said Mr. Kelmend Zajazi, NALAS Executive Director. Sessions of the workshop included: SEE 2020 Strategy Unfolding, Funding of SEE 2020 Strategy, the new IPA II 2014-2020, EU Macro-Region Strategies and EU programmes relevant to the LGAs and LGs in SEE. The workshop also discussed LGAs experiences and lessons learned from previous EU programming period 2007-2013. Participants shared their experiences, but also brainstormed about possible actions to be undertaken by the network in the upcoming years. Speakers at the workshop included RCC staff, representatives of the EU Delegation, relevant Ministries and international consultants.